Join Benjamin Sears for the second annual teacher training at his legendary retreat villa, LUXYOGA South of France, as we give the old Ashram idea a serious upgrade. Immerse in a proven, transformational program with the backdrop of breath-taking nature, and the support of Ayurvedic cuisine. Immerse in a proven, transformational program that will empower you to orient yourself on the mat, as a teacher, and in our ever-changing world – and be ready to teach effective classes right away. The Sacred Geometry bedrock of two proven sequences and a cohesive yet broad curriculum connects to a central paradigm of self-knowledge that will develop your practice and teaching long after the training is complete. Develop a personal practice and find your voice. When the system is sound, the challenge reflects potential. YOU are potential! Become a Yoga Alliance Certified Teacher today. Transcend any one style of yoga and learn how the practice fits each body. Develop a personal practice and the ability to teach effectively in your own voice. Become a Yoga Alliance Certified Teacher! We respect your privacy. We promise not to send you junk. Thank you for subscribing! 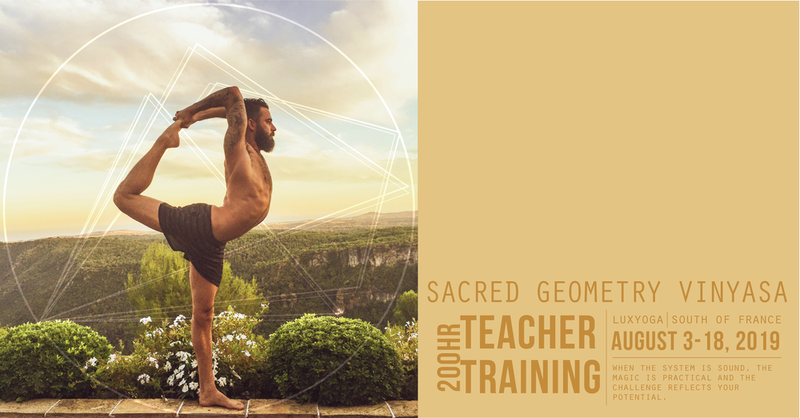 Stay tuned for more information and updates on Benjamin Sears’ upcoming Sacred Geometry Vinyasa 200 Hour Yoga Teacher Training in the South of France. Informational Video from the September 2018 Training: Join Benjamin Sears and a team of experts for a proven 200 Hour training at the legendary LUXYOGA villa in the South of France. Graduates of our trainings emerge with strong practices and succeed at teaching right away. LUXYOGA is the private retreat center opened by Benjamin Sears in 2007 and repeatedly named the world’s Premier Yoga Retreat, featured by Yoga Journal, Vogue, Esquire, and many others. LUX is known for legendary local cuisine, stunning nature, and cozy, personalized luxury service. For full accommodation students, expect the quality that has come to define LUXYOGA in a family style setting with rooms allotted on a first-come, first served basis. Nourishment will take the form of Ayurvedic-paleo gluten-free cuisine and the training will be bolstered by hikes and river swims for an experience of connection and community that would not be possible in any other location. We ask only that you respect this unique space with the heightened awareness of a true yogi. Only 14 villa spots, 3 apartment spots, and 22 total students will be accepted. Take your hunger to learn something more and turn it into nourishment. Turn it into something you can feel, like your own volume and all of your sides in every posture. + to provide you with a broad yet cohesive yoga education that empowers you to transcend brands of yoga and develop a personal practice that will stand the test of time and become a shoulder to lean upon through the peaks and valleys of life. More than learning the sequences, this means a way of seeing and understanding different practices and bodies under whatever circumstances you encounter them. + to prepare you to teach and practice 2 proven therapeutic vinyasa sequences right away. Having a scaffold to find your voice is indispensable. + to hold space for you to go deep inside yourself; you will immerse in both traditional and modern breath practices, journaling work, and develop new frameworks for self-reflection. + to hold space for you to connect with other soulful people. One of the best parts of training is making friends from all over the world and supporting each other. + to give you the tools to hold those spaces for yourself as a teacher and a student. See your strength and learn to use it. See your patterns and learn to transcend them. + to provide you with a universal paradigm for effective teaching. Communication is crucial. This training will lead to you find your own voice, your own way. Every painting starts with a canvas. + to inspire you to continue your research. You'll step out of this feeling strong and motivated. + Take your hunger to learn something more and turn it into nourishment. Turn it into something you can feel, like your own volume and all of your sides in every posture. + to immerse yourself with great spirit in your training and take your role as a student seriously. The most effective teacher never stops learning. 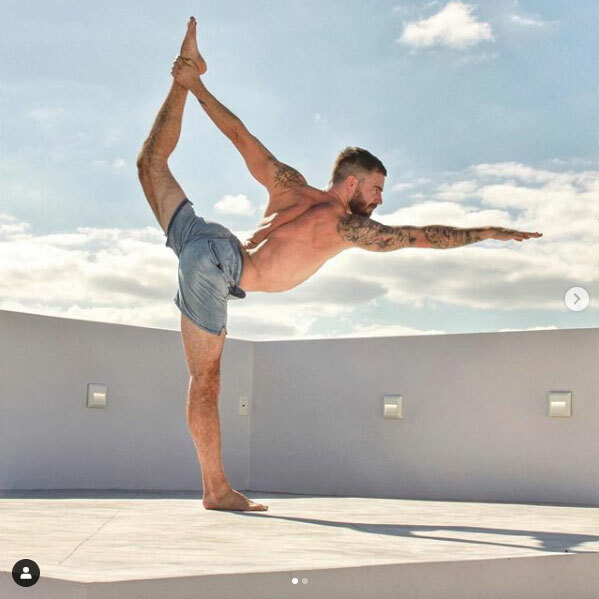 Benjamin Sears Yoga Trainings are immersive experiences for personal transformation that will provide the skills to start teaching Yoga right away. Expect a comprehensive Yoga education with a fine balance between the traditional aspects of Yoga and the power of evolution and science. Learn two Sacred Geometry Vinyasa sequences with variations and modifications for ability and injury, as well as functional mobility, handstand protocols from total beginner to press handstand and in-depth breath work and meditation training. Simple, effective and honest communication in your real voice. No theatre here, our teaching labs apply just enough pressure to make diamonds. You will be teaching in real time during the training. How to go deep safely in practice and teaching (Vinyasa Krama), and how to tailor practices for specific needs and therapy. Jaya, a classically trained Indian musician and scholar, will lead a module new the middle of the raining. Rather than force spirituality, she combines classical Indian singing notes with body-mapping meditation to avail the therapeutic impact of chanting to all people. Students testify that practicing with Jaya produces both instant and consistent boosts to mood and reflective capacity. A truly complete practice represents an integration of body and mind, and working with Jaya to fully embody the power of one’s voice is an incredible boon for anyone who wishes to teach, or simply communicate more effectively and learn skills for self-calibration. Just as the Sacred Geometry Vinyasa practice empowers you to center yourself in space, vocal work with Jaya tunes your etheric self. Benjamin uses Jaya’s techniques as part of his regular practice, especially before teaching large groups. Know the basics and how they resonate in today's world. This is a powerful aspect of this training in particular due to the collaboration between Benjamin Sears & Jaya Ramaprasad, PhD. Both are masters at taking complex metaphorical texts and relating them to life in a way that will actually serve your own process and that of your students-to-be. A two-fold process: the anatomy course you will study online before training and the hands-on work during the immersion. Learn and practice transformative self-reflective writing - Raja Yoga for the modern yogi, or, as one of our students put it: "some powerful sh*%"
**Evenings : Dependent upon the progress of the group, most evenings will be free time. I believe that we learn by practice – whether it means to learn to dance by practicing dancing or to learn to live by practicing living, the principles are the same. Practice counts. I’ve spent most of my life sweating, rolling, stretching, dancing - in some way simply connecting body and mind because this integration is where I feel empowered. I think I can help you feel this. When I discovered yoga in 2002, my practice became a therapeutic refuge from a lifetime of intense training and the injuries that inevitably come from a pursuit that puts performance first and wellness second. I still wouldn’t trade a minute of it. Inspired by the healing and self-reflection of yoga practice, I have found a way to teach dance and movement that is not only accessible to all kinds people but also delivers the same type of profound physical and spiritual therapy as yoga. I bring the balance of precision and joy from my dance background into yoga and I reveal to my movement students how precise movements are the gateway to freedom. Everyone should be able to discover how practice reveals the unique beauty of the way his or her body moves and the joy of that freedom. I'm honored to teach at LUX – it's a magical place to improve your body's vocabulary. Jaya is a classically trained Indian musician and singer with a Phd in Physics from Purdue. Jaya shares traditional wisdom and practices for modern application and will teach philosophy, Yoga Nidra (deep relaxation), and chanting at Benjamin Sears Yoga TT. Rather than force spirituality, she combines classical Indian singing notes with body-mapping meditation to avail the therapeutic impact of chanting to all people. Students testify that practicing with Jaya produces both instant and consistent boosts to mood and reflective capacity. A truly complete practice represents an integration of body and mind, and working with Jaya to fully embody the power of one’s voice is an incredible boon for anyone who wishes to teach, or simply communicate more effectively and learn skills for self-calibration. Just as the Sacred Geometry Vinyasa practice empowers you to center yourself in space, vocal work with Jaya tunes your etheric self. Benjamin uses Jaya’s techniques as part of his regular practice, especially before teaching large groups. Jaya has worked as a scientist at NASA Goddard and the University of Washington, as an analyst at Amazon, and a Data Scientist at Microsoft. Her scientific research studies include a collaborative investigation with the Fred Hutch Cancer Research Center on the impact of Yoga on Cancer. Her current interests are in Data Science, Machine Learning and Deep Learning. She is also passionate about studying the impacts of music on the developing brain, and sees this as a fascinating possibility in applying insights about 'Natural Learning' to AI. On top of these pursuits, Jaya teaches Indian music, vibrational healing, and Yoga Nidra to children and adults — she is a true renaissance woman and modern Yogi. Benjamin and Jaya first met when Jaya attended a LUXYOGA retreat in the South of France and began their teaching collaboration in 2015. They very much enjoy learning from each other. This training is much about learning how to balance sustainability and intensity in a complete practice. Much of the work for some is, ironically, unlearning common mistakes that lead practitioners to practice postures without the details that make them both therapeutic and invigorating. This training will be physically and mentally challenging regardless of your level of experience. You need to show up ready to do to the work. We feel that one of the responsibilities of a teacher is a solid (not necessarily acrobatic) practice. Jaya shares traditional wisdom and practices for modern application and will teach philosophy, Yoga Nidra (deep relaxation), and chanting at Teacher Training. Rather than force spirituality, she combines classical Indian singing notes with body-mapping meditation to avail the therapeutic impact of chanting to all people. Students testify that practicing with Jaya produces both instant and consistent boosts to mood and reflective capacity. A truly complete practice represents an integration of body and mind, and working with Jaya to fully embody the power of one’s voice is an incredible boon for anyone who wishes to teach, or simply communicate more effectively and learn skills for self-calibration. Just as the Sacred Geometry Vinyasa practice empowers you to center yourself in space, vocal work with Jaya tunes your etheric self. Benjamin uses Jaya’s techniques as part of his regular practice, especially before teaching large groups. Can you tell me more about the Handstand & Mobility modules? Benjamin has seamlessly blended injury-preventing and awareness-developing mobility work like FRC with a Handstand practice that will lay out a clear and safe path to a free-standing handstand, or to the next handstand skill you’re looking for. Moreover, by doing this practice, you’ll learn to confidently guide others. The mobility piece is not to be overlooked. We believe that integrating scientifically-proven methods from broader movement culture is essential to the evolution of modern Yoga. This training as a whole is much more than a basic Yoga immersion: think of it as a complete system of body-mind maintenance and development that will serve you far beyond your yoga mat, and far beyond this year. What/where is LUXYOGA and how do I get there? 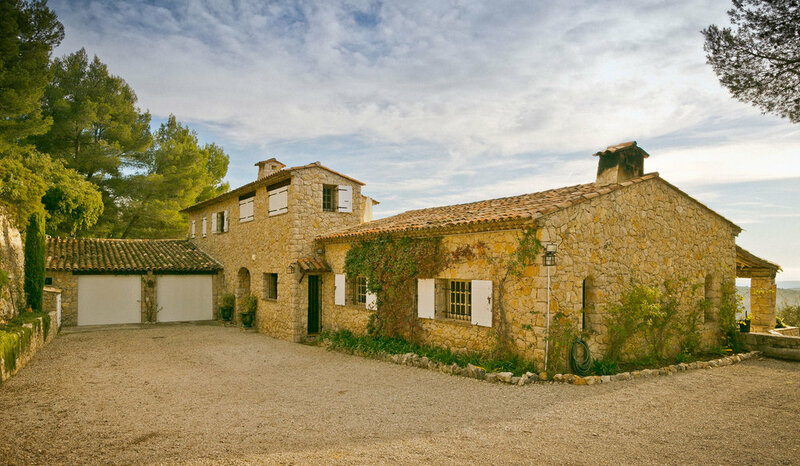 LUXYOGA is the legendary South of France private villa retreat opened by Benjamin Sears in 2007. LUX has consistently been named one of the world’s top luxury retreats. The villa is about thirty minutes from Nice, France and the closest airport is Nice (NCE). The stunning nature that surrounds the villa forms the ideal setting for an immersive training, and the curriculum will integrate very special hikes to hidden local treasures with the spiritual practices. For students booking an on-site accommodation option, shuttles will be provided from Nice Airport on September 6th, the day before training begins. For off-site students, the address of the villa is 695 Chemin Saint Arnoux, Tourrettes Sur Loup, France 06140 and we will see you at the villa at 7AM sharp on September 7th. What are the accommodations like onsite? The Yogi apartment is a very simple 4-bedroom, 2-toilet, 1-shower lodging right on the picaresque village square of Tourrettes Sur Loup. One staff member and 3 trainees will be able to stay at the apartment. You can walk right out the door into the village, and you will enjoy all of your meals at the villa. Expect to emerge with a foundation that will support you in any physical endeavor, the tools for self-practice, the skills to begin teaching right away, and a community that will support you going forward. During the training, it is important that you sign on to the process by connecting with your fellow trainees, learning the material, and that you prioritize getting rest during your time off. Each day you will have one or two physical practices as well as meditation and breathing, teaching practice, and special modules on certain days. If you have selected to stay at the Villa or Yogi apartment, you will be treated to legendary LUXYOGA cuisine; all of which is based upon Ayurvedic principles and is locally sourced. All LUXYOGA meals are entirely gluten-free and essentially paleo and vegan/vegetarian needs are covered. At LUXYOGA, we believe in real food that supports strong practice. Every day begins at 7:30AM, includes a significant lunch break, and most days will conclude before 7PM. Your program may include a couple of after-dinner modules, but compared to many other trainings, we prioritize, within reason, the need for good sleep. Please refer to the sample day schedule for more detail. How many students will be in the training? There will be a maximum of 23 students at the September training at the LUXYOGA villa. It is indeed a special opportunity to study with master teachers in a smaller-than-usual group. 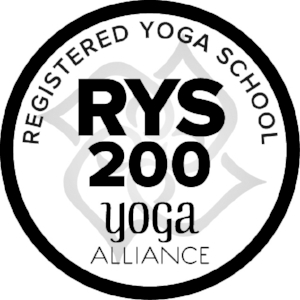 You will receive a 200 hour Yoga Alliance Certification if you complete all coursework to the satisfaction of the faculty and submit to YA for your certification. We do not sell certificates, and if certified, you represent Benjamin Sears Yoga. We will make every effort to prepare you to teach and empower you with tools to continue your growth. September is the perfect time of year in the South of France. Expect to catch some rays during your lunch break, dip in the pool, and enjoy slightly cooler nights and epic sunsets. Plenty of yoga clothes, shoes or sneakers that you can hike in, bathing suit, and whatever else you would typically need for this type of immersion. We will provide yoga mats, straps, blocks, rolls – all the goods – however, if you prefer a specific type of mat, you should bring your own mat. For all full accommodation packages, everything from three LUXYOGA chef-prepared meals daily to lodging and arrival and departure shuttles is included. For all students, the curriculum and yoga props are included in the tuition. We have a strict no refund policy. No refunds or credits will be issued for any reason. Yes - payment can be made in full or in three installments. You will receive detailed instructions if you are accepted into the program. *Very simple accommodations along with a staff member right on the picaresque square of our local village. 4 private bedrooms share 2 toilets and 1 shower. If you choose to stay offsite please visit our FAQ section for more info! Check with your local tax advisor. In most jurisdictions, you can deduct professional yoga training as a business expense which results in a considerably lower course cost. If you need an official tax invoice, just ask. We’re happy to help! Prices are all-inclusive. There are no hidden fees or extras before or after arrival. You can pay with any major credit card or via bank transfer. All payments are non-refundable for any reason. Under no circumstance does payment ensure certification. All certifications are merit-based only. We do not sell certifications. “How much is a good education worth?” How much do you gain by developing a practice that leaves you self-sufficient, able to do yoga anywhere? What is the value of self-knowledge and a drive that keeps you inspired to continue learning? According to CNN, senior yoga teachers with 7 years of experience, earn an average of $62K/year, and yoga teaching is ranked as the #10 most desirable job in the United States. Many graduates are able to earn back their tuition in three-to-six months of teaching and then have a skill set that serves them for life. Most of the inquiries I’ve received over the last year have been for more info about what I teach in person, so, over the next week I will share pieces of the Sacred Geometry Vinyasa practice that I’m perpetually developing. SGV is all about choices of the conscious variety. The Vinyasa framework starts class with movements like in these videos — a section I’ve dubbed COAX — seated movements that have the two-fold purpose of inviting the body into the practice and clarifying fundamental concepts like the crucial distinctions between spinal flexion and extension, anterior and posterior pelvic tilt, and scapular control. With these movements, there is both an energetic impression and a technical one. I’m moving more quickly here than we would in class. At our teacher trainings these concepts are supported by break-downs during integrative mobility, hand-balancing, FRC and meditation modules. Bandha work, or simply — abdominals. Rather than throw around words that many students won’t be able to reference, SGV classes use accessible movements to establish common vocabulary that can later be used as shorthand. We move from the COAX section (yesterday’s post) into the CORE section, which reveals how to orient your pelvis and flex or extend your spine from your core and feet, as well as how to position your shoulders in common postures. This part of classes enables us to use the Bandhas as what they are; words that express ideas that you can understand once you feel them yourself. Side benefit: nice abs! The SGV system takes inspiration from both Katonah Yoga and Functional Range Conditioning, which in very different ways place a premium on getting joints to operate cleanly knowing the surrounding muscles will fire properly if the focus is put on optimal rotation. Pictured here is one of many exercises we use to get the abs to fire in a way that supports the spine. We use props and adjustments to give you a rise, as a scaffold to help you find your own angles, as a way to elevate your vision and take you out of compensation patterns — never as a way to sink back into the past. My gripe with much prop usage in yoga is that props get leaned upon and collapsed into instead of as an avenue towards insight and potential. If you simply lean on something, nothing changes, but if you use a boundary as a reference for how to push against an edge, space can be found in the center. The why of binds and the power of contact. A few simple rules of thumb: if a bind is making you sink in one direction, go the other way! A bind is useless if the rest the posture degrades so make a choice that allows you to expand your center, even if it’s NOT binding. Bodies are different. It sounds simple: but push the things into the other things i.e. use the bind as a reference to press points of contact to against each other — don’t let your leg push your shoulder around and vice-versa. Keep the contact; many long-limbed folks are able to bind without therapeutic mechanics. Applying equal and opposite pressure goes a long way towards keeping you secure. Photo 1 is a bound triangle variation. You can see how the bind is pushing me off the center of the posture and towards the camera. My work is to feel the direction my leg is trying to push my shoulder and resist that trajectory in order to keep my shoulder safe and facilitate a twist. Key here is that there is no gap between shoulder and knee or body and leg, as this clean fit makes sure that I’m not putting excessive pressure on my shoulder with protraction and external rotation. There’s a lot to say about the legs and feet here but I’ll save that for another time. In Photo 2 @twirlyt1 uses an eagle bind in lunge backbend to lift her lungs: the upward trajectory of her elbows lifts the aspect of her spine right between her scapulae creating a beautiful, even arc of spinal extension. Centering techniques versus linear posture-achievement goals. We look at advancing as becoming more fully embodied, which means learning to explore postures by spreading yourself equally over a grid rather compromising one piece to get what looks like a deeper posture. Life isn’t linear, and so when Yoga becomes about “getting into” a posture rather than knowing yourself, the potential for injury increases and awareness is compromised for a facade of achievement that often just indicates that someone kept working what was already there. Photo 1 was taken in November with minimal warm-up and while my kicking leg isn’t nearly locked, the lateral, longitudinal, and vertical axes are all intact — and I’m wearing ironic jean shorts. Photo 2 is from 2009; at the time I’d lock out my top leg on what I thought was a good day, but you can see that the kicking leg side of the posture is leaking — and my shorts are terrible. Conclusion: practice to better understand your inner landscape and you develop better fashion sense. Today’s theme = participation and progression rooted in conceptual consistency. Practice works better when it’s about learning to fit yourself rather than chasing postures. So much effort goes to waste with folks straining to “get” a posture instead of a teacher breaking the problem down into parts and addressing the issues that limit access. This is not to say that orienting yourself towards process over outcome won’t require work and develop patience, but think of it as the distinction between trying to run through a wall versus building a ladder. This video shows an example progression we use to address the limiting factors for the very common but all to rarely broken down variations of Crow posture. It’s all the work without weight on my hands that gives me the origami folds that make the final expression a series of actions and counter-actions rather than a brute push that will only cause poor shoulder positioning and wrist pain over time. In a class dynamic, rather than have newer/weaker/tighter students waste energy just trying to do crow, my trainees are empowered with progression protocols that can be applied to address whatever is limiting expression of the posture. As an example, the rolling camels @twirlyt1and I show here refer to spinal waves that we teach elsewhere in our courses and help students integrate the awareness they’ve developed around both spinal segmentation and hip extension — which, along with finding an exact semi-circle based on one’s own proportions, is the method behind the fixed-firm to wheel transition. Since today is the last day of #7daysofsgv, I’m giving you a two-fer: the soundtrack to this clip is my friend and teacher @jayaramaprasad , who will be teaching a non-religious vocal tuning and sound meditation module at the upcoming Dallas training this Spring. Essentially, she has culled a lifetime of study of traditional Indian music into a package that is applicable for people of all walks of life. Simply put, I sing notes with Jaya, I feel incredible, and my voice sounds more resonant. Try it for yourself: play this clip, and try to match her notes.